Want to catch a culturally enriching film for free? Look no further than the SM Cinemas to avail of this experience! In time with the celebration of the Mid-Autumn Festival and Chinese Moon Festival, SM Cinema is hosting the Chinese Film Festival in select branches from September 5 to September 9. This partnership between the Chinese Embassy of the Philippines and SM Cinema aims to promote cultural understanding between China and the Philippines. The free screenings showcase innovative Chinese films of high artistic value that gears towards Filipinos’ understanding of Chinese cultural diversity and heritage. 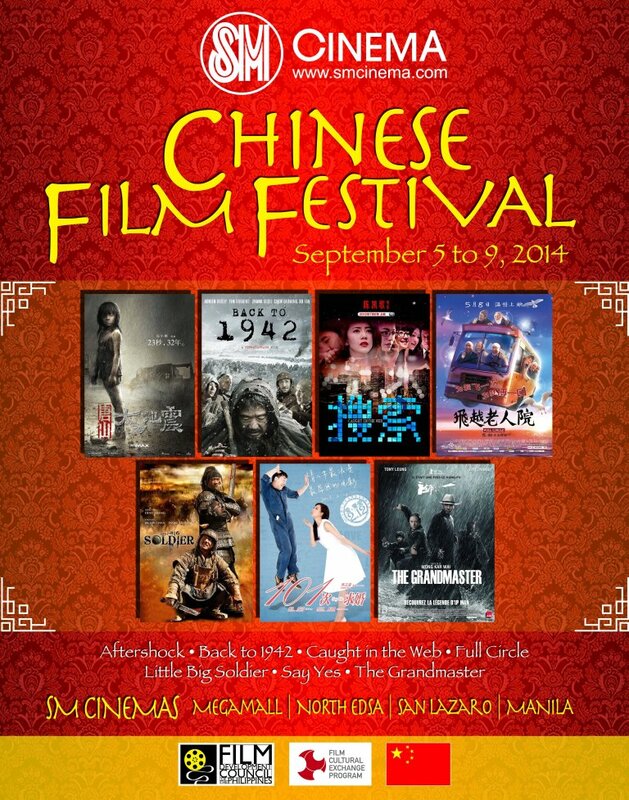 The Chinese Film Festival will be showcased in SM Megamall, SM North Edsa, SM San Lazaro and SM Manila. The premiere, attended by representatives from the Chinese Embassy in the Philippines and SM Lifestyle Entertainment Inc. was highlighted by a presentation of the Angeles University Concert Chorus, who flawlessly performed traditional and contemporary Chinese songs. Caught in the Web: A young woman is victimized by a massive viral internet campaign. Say Yes: A romance fantasy based on the Japanese drama 101st Marriage Proposal. Aftershock: A mother’s choice shapes the lives of her children after the Great Tangshan Earthquake that struck China in 1976. To know more about SM Cinema, you may visit www.e-PLUS.ph and www.smcinema.com. Love Chinese movies? Then hie off to SM City for a chance to watch selected Chinese films for free! Asian film fanatics will definitely have a blast. Check out the synopsis of the films to be featured in the Chinese film festival this month at Cineramaetcetera!